After a 10-year stint in jail, John ‘Duke’ Anderson returns to his old girlfriend Ingrid. Finding her living in a high-class apartment, he soon concocts an plan to rob all the other tenants. There's only one problem: He finds himself in a changed world, one dominated by surveillance cameras, wiretaps, and other not-so-secretive spy equipment watching his, and everyone else's, every move. Will this be the perfect crime or the perfect foiled plot in a brave new world of constant surveillance? 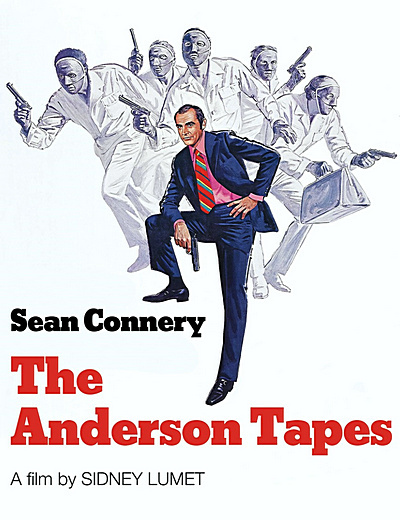 The Anderson Tapes is an impressive heist movie featuring some familiar faces and great several great cameos. • Trailers for "The Anderson Tapes", "The Bone Collector" and "The Odessa File"
• Audio Commentary - in this new audio commentary, critic Glenn Kenny discusses in detail the narrative structure of The Anderson Tapes, some of the more interesting characterizations and plot details, and Sidney Lumet work, the careers of some cast members, etc. • Super 8 Version - original Super 8 version of The Anderson Tapes. In English, with optional English SDH subtitles. (17 min). • Image Gallery - a collection with original promotional materials for the film. • Trailer - original theatrical trailer for The Anderson Tapes. In English, not subtitled. (3 min).